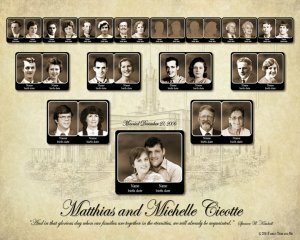 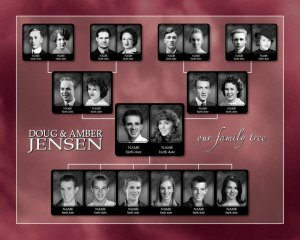 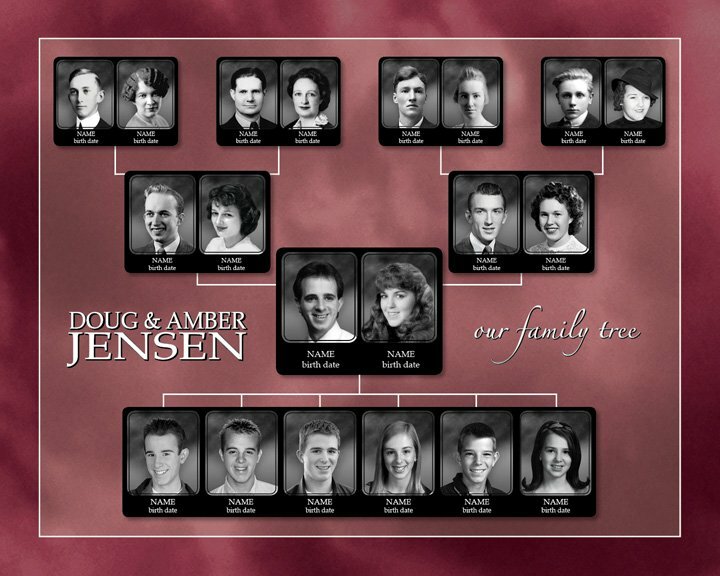 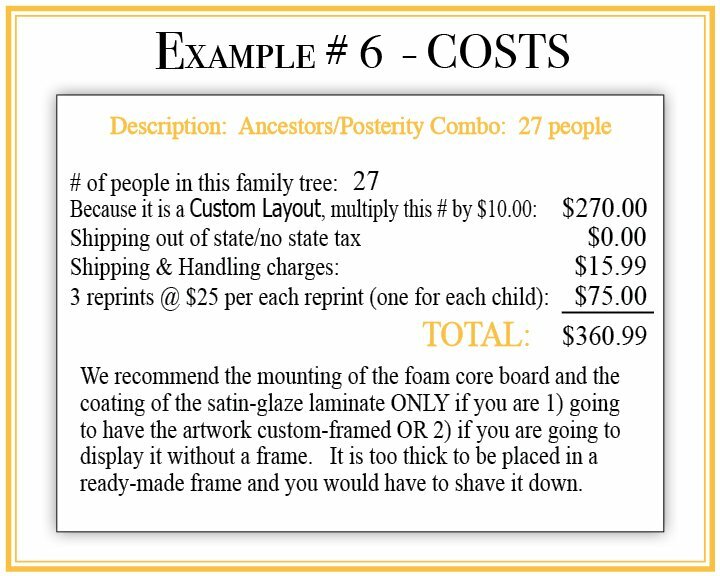 Your family tree is a custom design and will have a custom price. 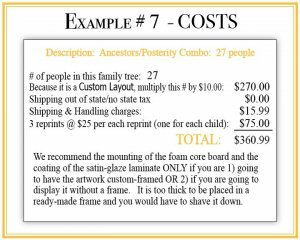 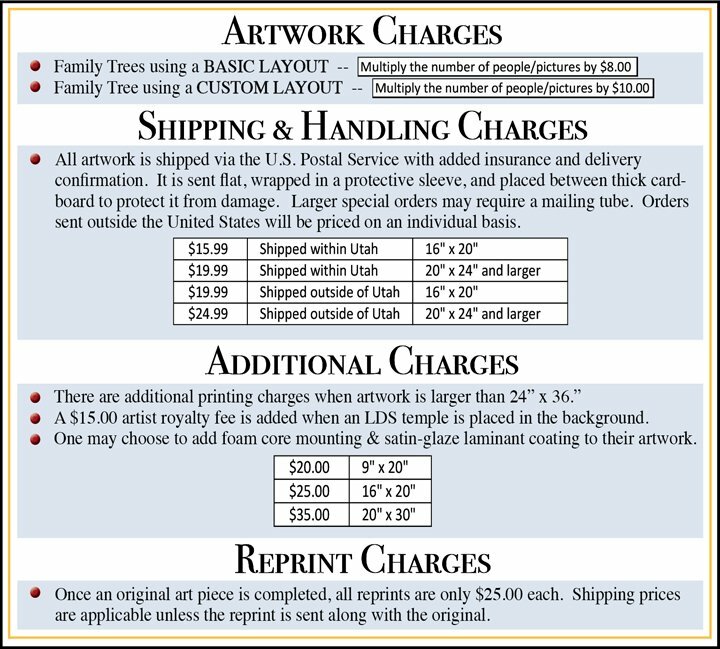 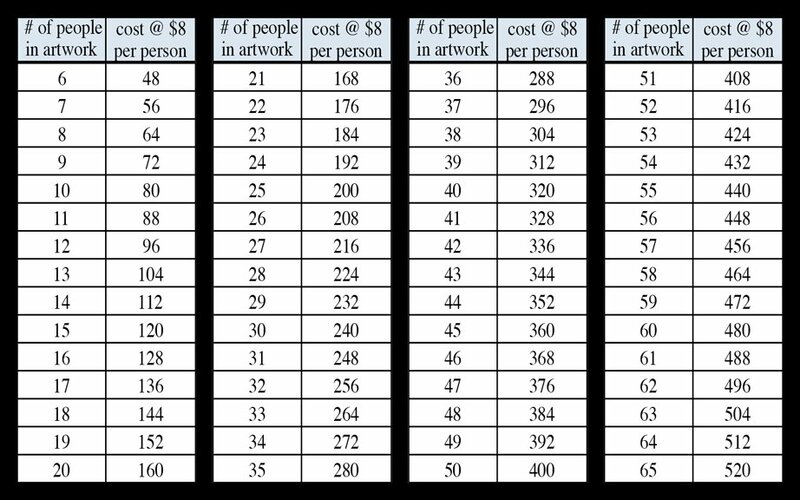 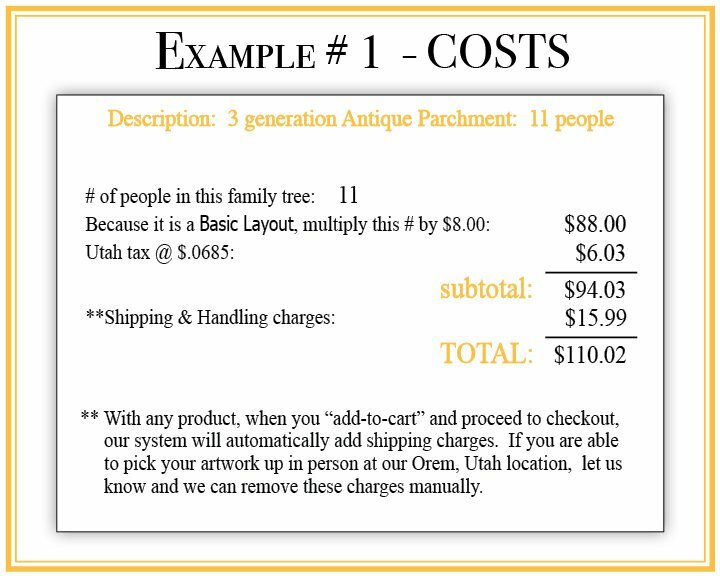 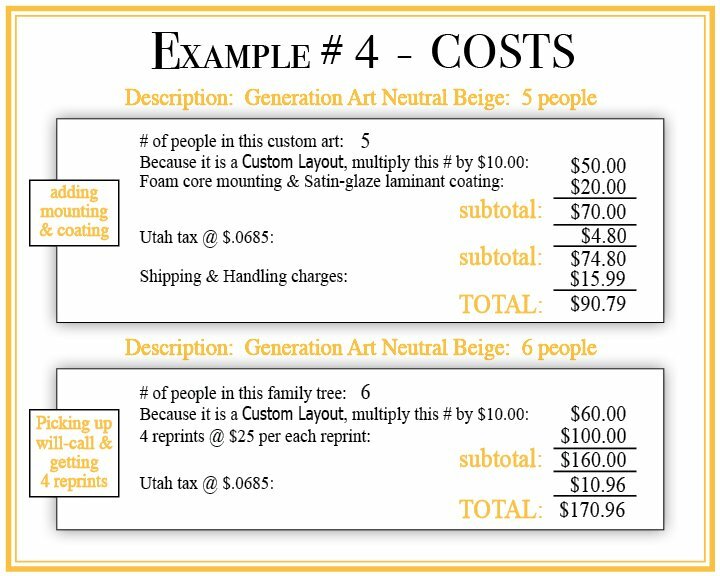 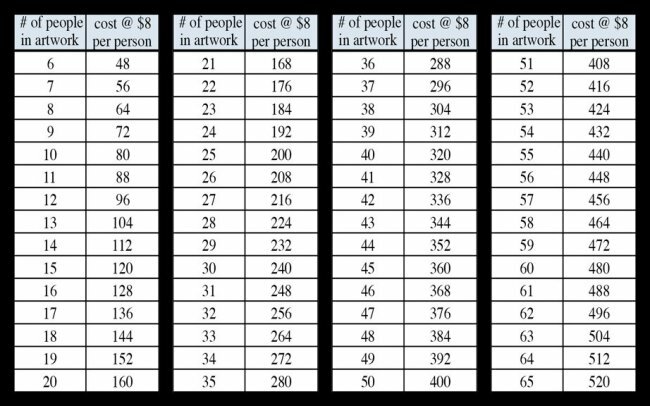 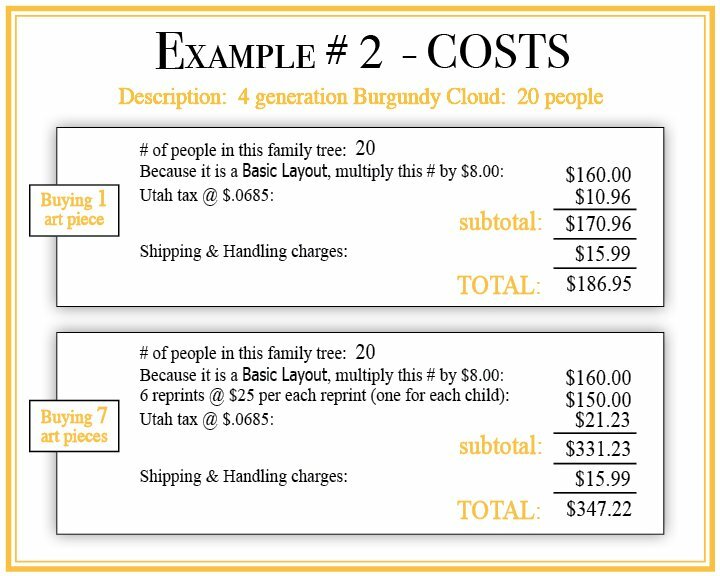 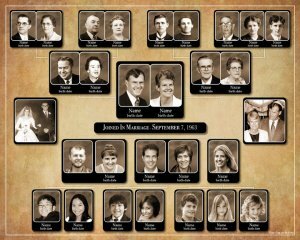 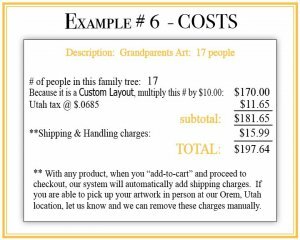 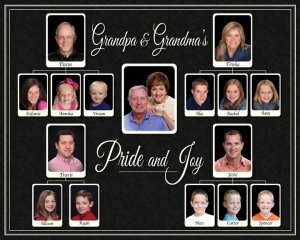 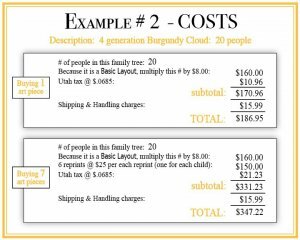 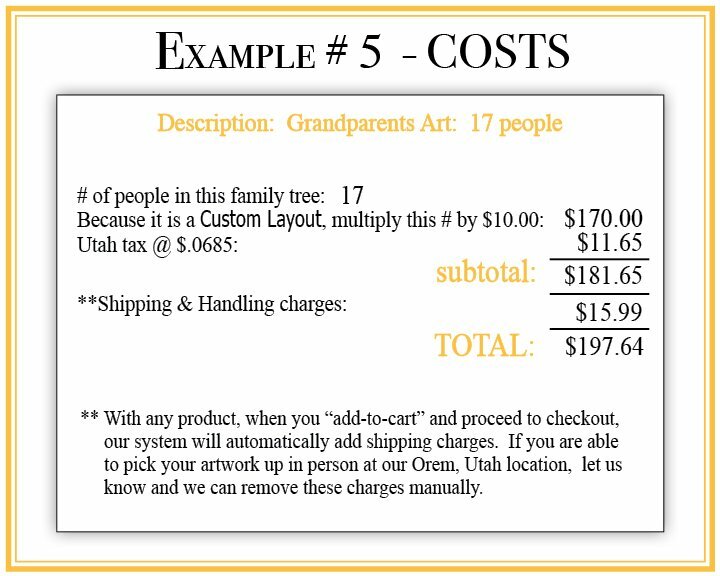 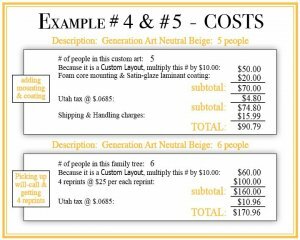 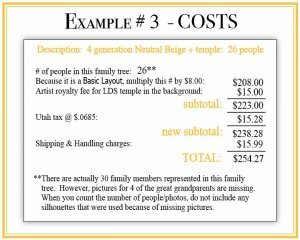 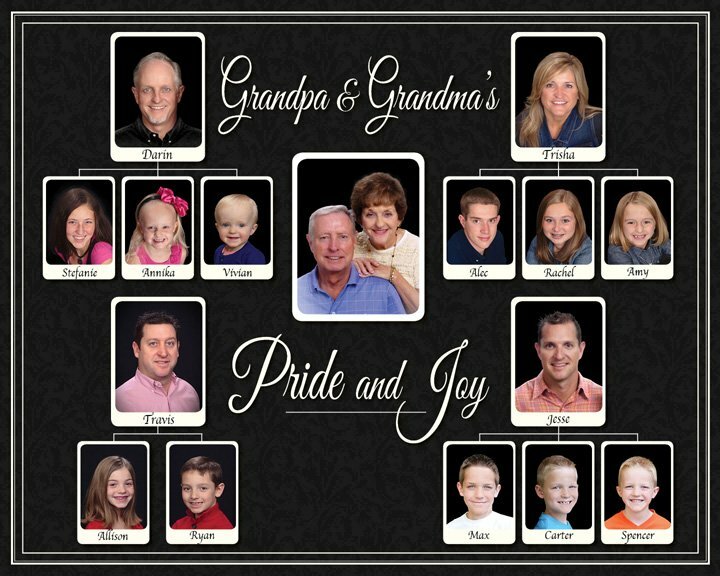 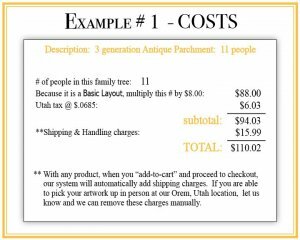 Multiply the # of people/pictures in your family tree by $8.00. 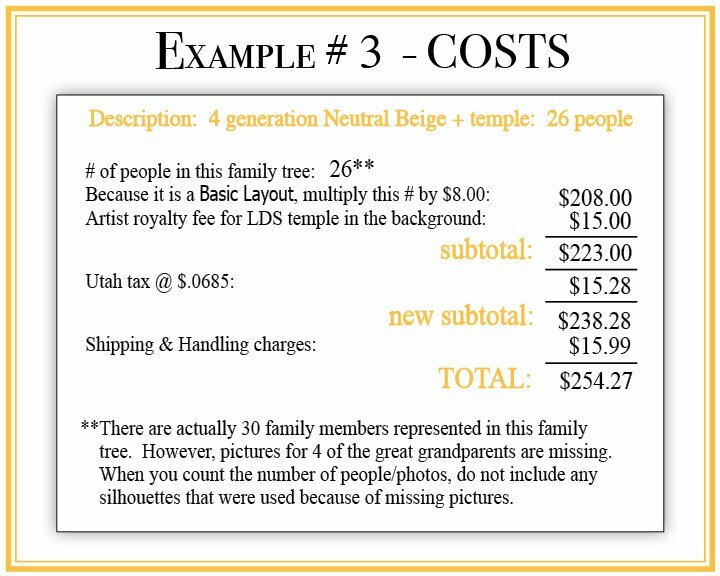 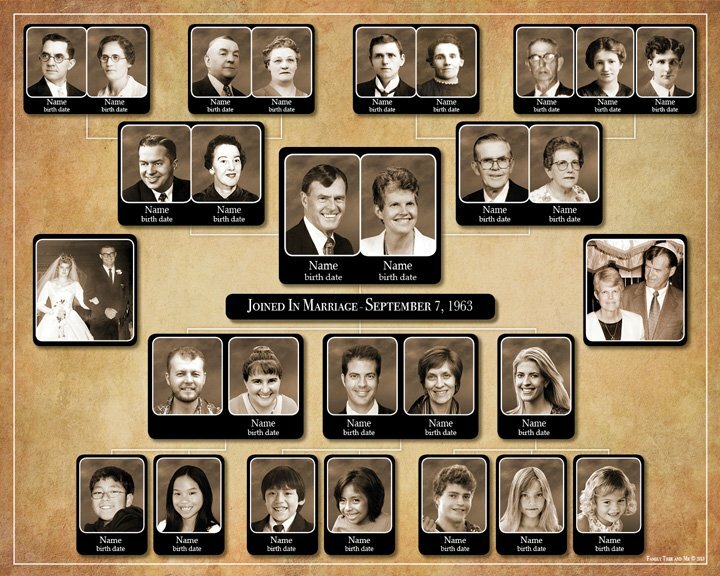 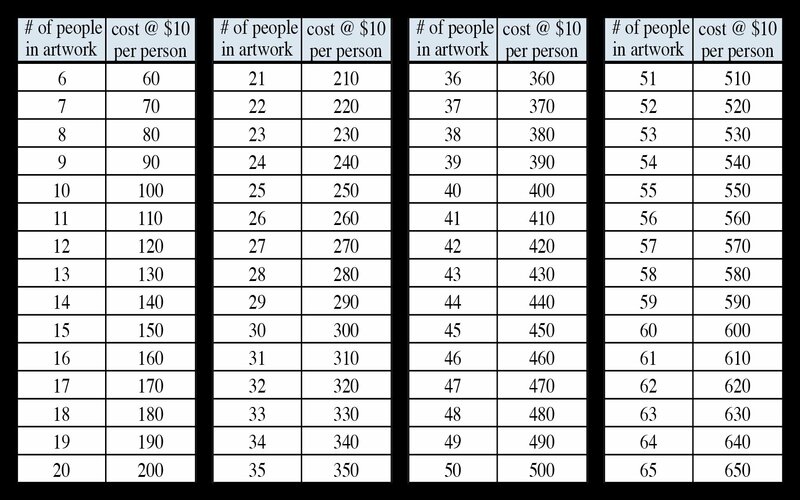 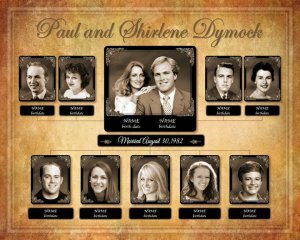 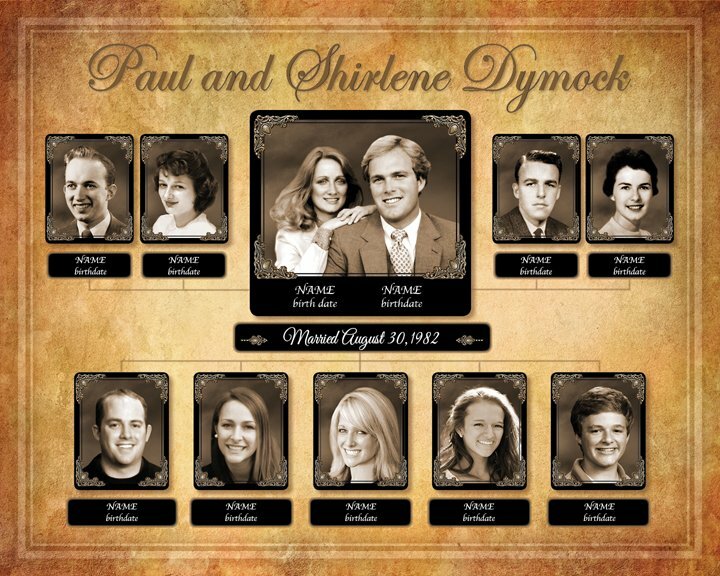 Multiply the # of people/pictures in your family tree by $10.00.